God gave us emotions to experience life, not destroy it! Lysa TerKeurst admits that she, like most women, has had experiences where others bump into her happy and she comes emotionally unglued. We stuff, we explode, or we react somewhere in between. What do we do with these raw emotions? Is it really possible to make emotions work for us instead of against us? Yes, and in her usual inspiring and practical way, Lysa will show you how. 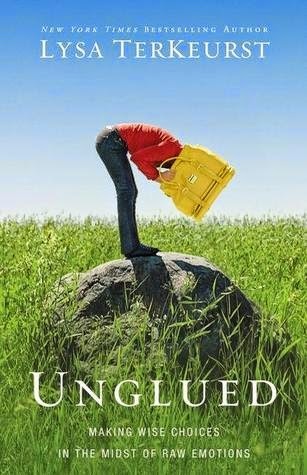 Filled with gut-honest personal examples and biblical teaching, Unglued will equip you to: Know with confidence how to resolve conflict in your important relationships. Find peace in your most difficult relationships as you learn to be honest but kind when offended. Identify what type of reactor you are and how to significantly improve your communication. Respond with no regrets by managing your tendencies to stuff, explode, or react somewhere in between. Gain a deep sense of calm by responding to situations out of your control without acting out of control. My thoughts: It took me forever and a day to read this book. It is a good book, though. It's a book that takes a lot of mental energy to read, and I felt like the first part of the book wasn't very relevant to me. Either way, it's a worthwhile read and I promise you will take something away from it. Marilyn Monroe. Few know her real name is Abra. Even fewer know the price she's paid to finally feel like she's somebody. To Pastor Ezekiel Freeman, Abra will always be the little girl who stole his heart the night he found her, a wailing newborn abandoned under a bridge on the outskirts of Haven. Zeke and his son, Joshua--Abra's closest friend--watch her grow into an exotic beauty. But Zeke knows the circumstances surrounding her birth etched scars deep in her heart, scars that leave her vulnerable to a fast-talking bad boy who proclaims his love and lures her to Tinseltown. Hollywood feels like a million miles from Haven, and naive Abra quickly learns what's expected of an ambitious girl with stars in her eyes. But fame comes at an awful price. She has burned every bridge to get exactly what she thought she wanted. Now, all she wants is a way back home. My thoughts: I had been waiting anxiously for this book to officially be released, and oh my heavens, it was worth the wait. 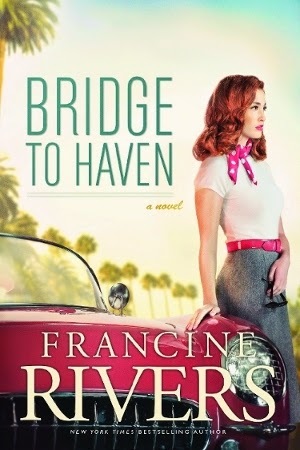 If you haven't read any of Francine Rivers' books before, please pick one and read it. I haven't read them all and some did not particularly appeal to me, but this one is a must read. It is a fantastic coming-of-age and redemption story. I will read this book again. On Bernadine Brown's fifty-second birthday she received an unexpected gift—she caught her husband, Leo, cheating with his secretary. She was hurt—angry, too—but she didn't cry woe is me. Nope, she hired herself a top-notch lawyer and ended up with a cool $275 million. Having been raised in the church, she knew that when much is given much is expected, so she asked God to send her a purpose. The purpose turned out to be a town: Henry Adams, Kansas, one of the last surviving townships founded by freed slaves after the Civil War. The failing town had put itself up for sale on the Internet, so Bernadine bought it. Trent July is the mayor, and watching the town of his birth slide into debt and foreclosure is about the hardest thing he's ever done. When the buyer comes to town, he's impressed by her vision, strength, and the hope she wants to offer not only to the town and its few remaining residents, but to a handful of kids in desperate need of a second chance. Not everyone in town wants to get on board though; they don't want change. But Bernadine and Trent, along with his first love, Lily Fontaine, are determined to preserve the town's legacy while ushering in a new era with ties to its unique past and its promising future. 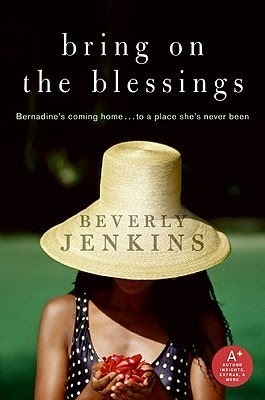 Additional notes: This is the first book in the Blessings series. The second book was just released. My thoughts: This wasn't necessarily a gripping story, but it was a really good book. If you're looking for a good book to read on the beach, this one is it. I laughed inwardly a few times while reading this book. Bernadine is quite the character. Honestly, all the characters are pretty funny in their own way. They're very sassy. I'm looking forward to the second book. 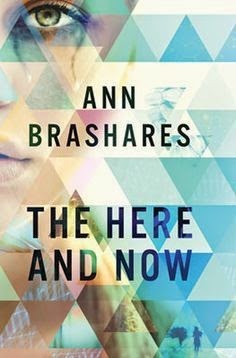 My thoughts: First, I'm a huge, huge fan of Ann Brashares. This story is brilliant, heart-breaking and often confusing. While romance is part of the plot, either gender would enjoy the dystopian/time travel story. I loved the ending and would love to say a lot about it here but this is a fairly new book and I don't want to give it away. Let's just say... the ending is incredibly realistic which makes me love it. I read this book in about 12 hours. With a toddler on the loose, that's not an easy feat, but Bug was in an I'm-going-to-entertain-and-play-by-myself kind of mood the day I read this, so it worked out well.